If you read my post about the possible health benefits of cilantro here, you will understand why I am looking for more ways to include it in our weekly meal plan. This recipe is really delicious and fresh tasting. We put it on salmon, but you could use it for just about anything – seafood, chicken, rice, pasta, eggs, roasted vegetables, and maybe even salad. 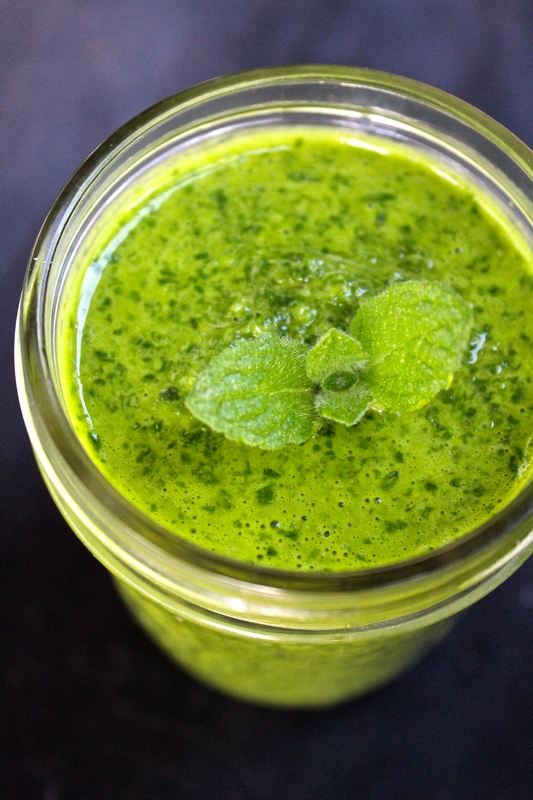 Combine everything in a blender until smooth. On day 51 of this 365 day project, I ate my daily five (including an amazing meal in San Francisco with tons of fresh and flavorful vegetables at Burma Superstar). Did you enjoy yours?